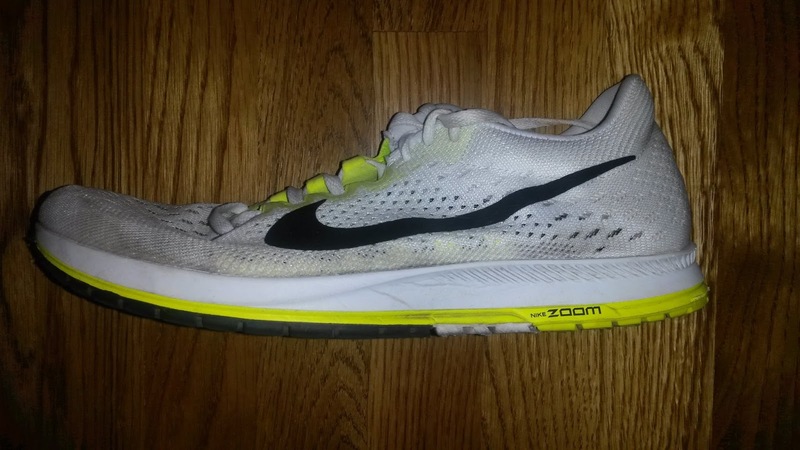 I was intrigued with the Nike Zoom Streak 6 as soon as photos were available. It is rare that a shoe company so drastically changes a class racing shoe. And when those big changes happen, the result can be either extremely disappointing (which seems to be more common) or pleasantly surprising. Having tried and been very disappointed with version 5, I saw version 6 as a dramatic change with incredible potential. The change to a square toe-box, a lighter weight, a pebax plate and an 8mm drop? Sounds like a perfect shoe. I managed to get my hands on a pair early and did an initial review (HERE) but had to return them due to financial reasons (I was a graduate student and now a recent graduate with boards coming in October). A couple weeks ago I managed to save enough money from tutoring to finally be able to afford a pair and it was one of the best investments I made shoe-wise for me. Below are my updated thoughts after many workouts and a fast but hilly 5k race. The Nike Streak 6 is a VERY different shoe that version 5. Gone is narrow last of the forefoot and in it's place a wide, footshaped and very stable forefoot. The increased surface area and width of the new forefoot makes the front of the shoe very stable which seems to help stabilize and direct forces appropriately during toe-off. The midfoot and heel continue to have a relatively narrow last width, but due to the switch from cushlon (v5) to phylon (v6), the improved firmness seems to continue to help stability. The zoom air unit in the heel is integrated very well into the sole. It contributes to the Streak 6's very smooth landing if your initial contact point is at the heel and facilitates the forward progression of the foot and lower extremity very well. Aside from the wonderful forefoot fit, the two other awesome changes to this shoe are the decrease in drop to an 8mm drop and the addition of a Pebax plate. The 8mm drop definitely smooths out the ride and for me is the perfect ramp for a long distance racer. Just enough not to mash up your calves but still let you get up on your toes and sprint when you need to (this is a personal preference. Others will be able to handle less or more depending on your experience, mechanics and more). The Pebax plate adds a significant amount of speed and responsiveness to this shoe when you push the pace. Initially when I put the shoe on I assume it would ride like any other long distance racer, but upon pushing to or past 5k pace, the plate assists in giving this shoe a beautiful amount of versatility (would personally choose lighter options for a 5k, but to each their own). What surprised me the most about the Streak 6 was the amount of cushioning and protection the shoe affords despite the other aggressive attributes (low weight and pebax plate). The great amount of protection in this shoe mixes very well with the 6.4 ounce weight. 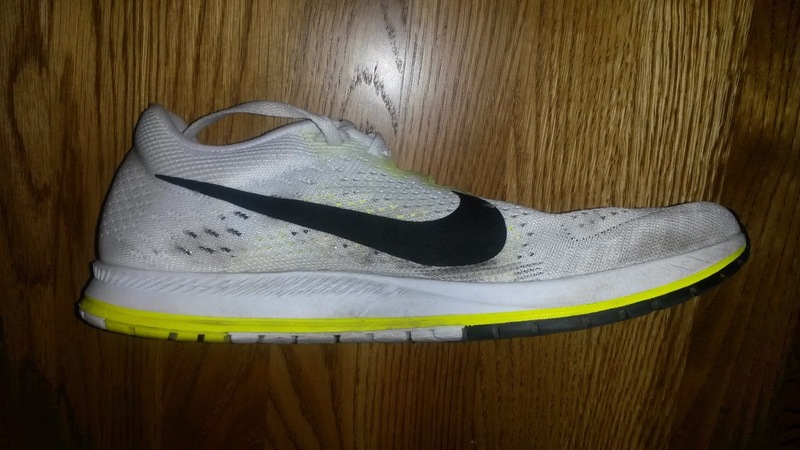 The Streak 6 disappears off my foot during workouts, races and other runs due to the weight, but has enough protection to keep my legs from getting beat up like they would in 5k-10k racers. The protection and relative cushioning for a racing flat (again compared to a 5k-10k racer) initially makes this shoe feel like it should be heavier, but on the run it flies and that low weight becomes apparent by the speed (which I think the Pebax plate assists with). Although the shoe is light, durability has been decent. 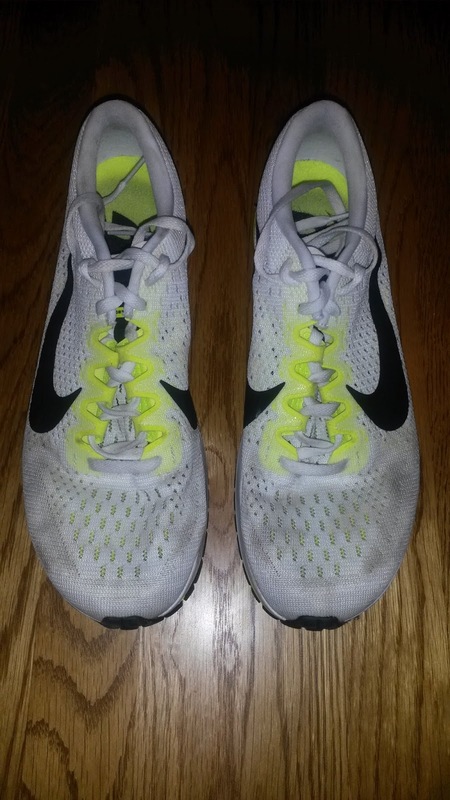 The firmer rubber at the forefoot and the heel have held up very well during the almost 80 miles I have put on the Nike Streak 6. With increased firmness always comes increased durability. The soft midfoot section though has been getting a bit shredded, but since most forces are either generated at the heel or forefoot, it has been holding up fairly well for me. The Nike Streak 6 is definitely NOT a shoe I would expect to get +400 miles on (although I am sure someone else will), but I fully expect at least 200-250 miles in my pair (although to be honest I'm hoping these burn out early so I can get my hands on the awesome Clear Jade/Green colorway that came out recently). The toebox is much more square shaped than previous versions and allows the forefoot to have the potential to sit in a more natural position in the shoe. I say potential because if you don't have normal mobility, flexibility and strength, a shoe is not going to fix your problems (my Physical Therapy hat is always on). The best part in my mind beyond the square shape is that the first toe has the potential to be straight thanks to the main curve in the shoe occurring on the lateral side as opposed to curving tightly around the first toe. So you actually have the potential for your abductor hallucis (musclse on the side of your big toe, which are very important yet are stretched out and weak in most individuals) muscles to work and help stabilize the first ray. Although the upper fits very well, I should mention that this shoe fits about 1/4 size small. For those that are running sockless or in very thin socks (I wear thin Drymax socks during workouts and races in this shoe), this shoe should fit closely in their normal size. For those wearing normal width socks or are between sizes, I would go up a half size. Other individuals have also reported going up a half size eliminates the insole arch pushing into their foot, but I have not had that issue at all and went with my normal size 10. I prefer my racing flats to fit close and stayed with my normal size in this shoe. There is also an internal arch strap that is supposed to hold the foot better. That may be what is hitting some individuals wrong. I tend to tie my racing flats pretty tight, so am unsure if the strap helps, but the upper overall holds the foot extremely well. Overall the upper is fairly minimal and light. Thanks to the new toebox shape combined with the mild flexibility of the upper, the Streak 6 conforms very well to the foot and you will totally forget about it on the run (unless you have the wrong size as some individuals have had issues with). The ventilation is fantastic thanks to the light mesh throughout the shoe (you can almost see your foot through it). So far durability has been great, my only issue has been with having a white shoe that shoes every speck of dirt you pick up. The Nike Streak 6 is definitely a long distance 10k to Marathon racer. The Pebax plate does contribute nicely to increase the amount of responsiveness that does give this shoe the option of hitting a quick 5k (again as mentioned earlier I would probably use a different shoe, but they worked well for me in a recent race). The cushioning and responsiveness are balanced nicely in that I can warm-up, do a race or work-out and comfortably cool-down in them. This is is rare for many racing shoes and speaks to the versatility of this shoe. As I mentioned in my initial review, for those that like to both race and train in lightweight racers or minimalist shoes, this will be a great do-it all shoe that can definitely handle the distance of training miles, workouts and racing. Most people will not be able to do this, but for those who do train like this, give these a look. 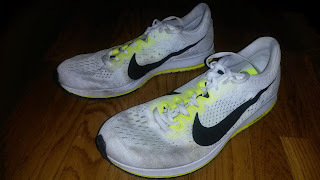 I have used this shoe not only as a 5k racer but for every type of workout and the Streak 6 handled each well. Speed workouts, hill repeats, tempo runs, mile repeats and races. This is definitely a do-it-all shoe. 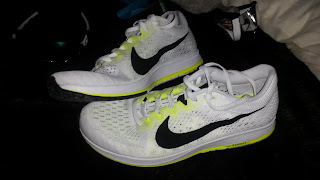 That being said, I still think the Nike Streak 6 will shine best as a half to full marathon racer for strong individuals and a 10k to half marathon racer for many others. The great protection combined with awesome responsiveness make this a versatile racer that will carry you through any distance. Back on topic. I am very happy with not only the addition of the pebax plate, but also the correct placement. These plates should be placed in the midfoot to forefoot, as that is where force is being applied into the ground AND where the foot actually bends in the forward direction. I have observed a few companies recently putting the plate too far posterioly (toward the heel), which creates some issues. First of all there is no joint in the heel to midfoot area that bends in the sagittal plane (forward and backward). With no bend, you are not really going to engage that plate to help you with forward propulsion. 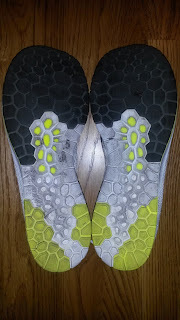 This is the same reason why you should NOT put major flex points in the sagittal plane (front and back) at these parts of the shoe (as opposed to the newer versions of the Nike Free, which actually had diagonal flex grooves in that area that are closer to the set up of those joints... but not perfect)! Secondly, when you put a plate that stiffens up this area, you restrict other motions, most importantly is the unlocking of the midfoot that is required for you to pronate correctly. I've said this a million times. Pronation is NOT bad. It is a method of shock absorption present in the foot that when controlled will seriously protect the joints above. When it is uncontrolled, then forces go in all directions and the joints above collapse (because they don't have a stable base to work on). You should have some degree of pronation. If you have a stiff and/or rigid foot (which I see commonly in patients with pes cavus or high and/or stiff arches), you will not be able to load forces correctly at the foot and will have to do extra work further up the chain (knee, hip, back, etc). So this is a delicate balance. When you have a very stiff plate at the heel/midfoot, you may limit the movement in the frontal plane (side to side) of the midfoot. This will likely limit the unlocking of the navicular (big bone on the inside of your foot), which facilitates the pronatory motion. So for those with very tight calves, these shoes will seem like zero drop shoes because you will not be able to compensate for your lack of dorsiflexion at your talocrural (ankle) joint with extra eversion at your at the joint blow (subtalar) and midfoot. For those with proper mobility and control in their ankle joints, they may not notice this as much. For those individuals who mostly load and absorb shock at their ankles, plates in the heel to midfoot may limit your normal force attenuation abilities. So keep that in mind. And finally to end this section off, I am very interested to see Nike add a bit of rocker shape to this shoe. It is evident from looking at this shoe from a lateral or medial view and may be what contributes to the additional smoothness of the ride. Unlike some companies however, the rocker is mild and does not feel unnatural. The curve at the heel mimics and facilitates the heel rocker (curve at the posterior calcaneus bone) and the mild toe spring combined with great flexibility (which I forgot to mention earlier) compliments the forefoot rocker very well. This shoe does a great number of biomechanical things correctly and I applaud the footwear developers and staff at Nike for their work on this shoe. The Nike Streak 6 has become my new favorite all around racing flat. It can handle a 5k race (ran 15:39 on a very hilly course in this shoe) while also taking on marathon distances, all types of workouts and long runs with ease. The combination of cushioning, lightweight and responsiveness mix very well in this shoe and make it a highly versatile racer. The Nike Streak 6 would work best for those with stable and strong lower extremities and feet looking for a versatile racer and shoe for workouts. Those with extremely unstable or weak lower extremities and feet would be better off looking at more stable racing flats along with seeing a physical therapist to address any issues that may be causing those impairments. Disclaimer: These shoes were purchased on Running Warehouse for their full US retail price. I put at least 75 miles on every pair of shoes before I review them (except racing flats which I put on at least 25 miles). Currently I have 77 miles on my pair.